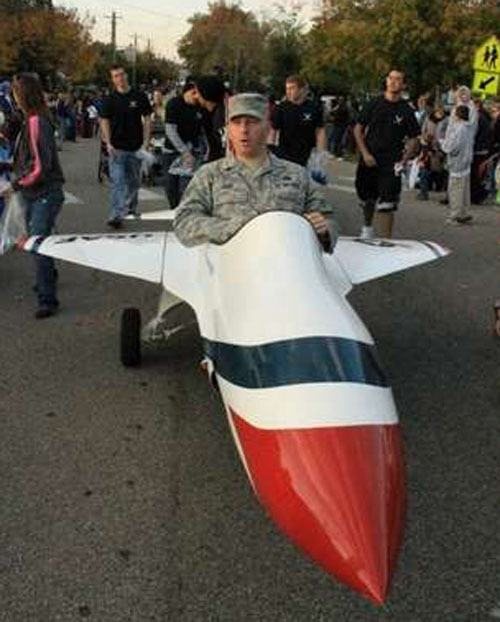 Years ago during a Memorial Day Parade in Amelia, Ohio, an Air Force jet crash landed in my front yard. Well not landed exactly, because he was on the ground, but did crash, when a wheel came off. 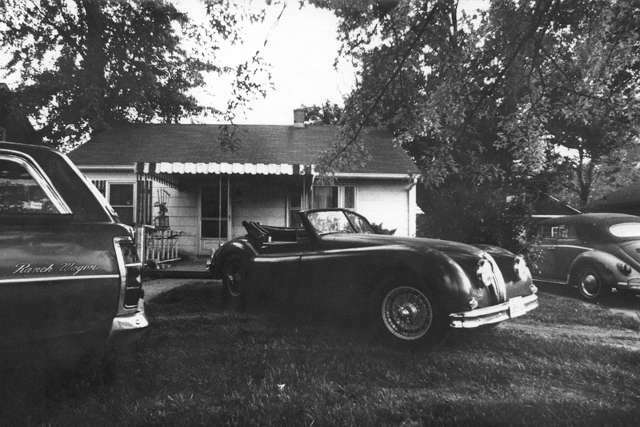 Luckily, I had a well stocked garage at the time, and we dragged the jet up on to the lawn and began major surgery. Luckily the problem wasn’t too severe, and a couple of bolts and a cotter key (and then some starting fluid) got the Air Force recruiter guy back in action. Always glad to do our part for Uncle Sam. This was my front yard at the time, around 1974 or so. The obligatory reliable Ford Ranch Wagon, a Jag XK140MC and a nice old mid 60’s VW convertible. Those were the days….. 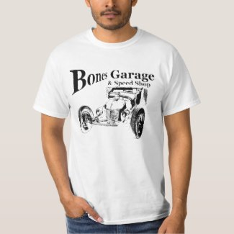 Welcome to Bones Garage. 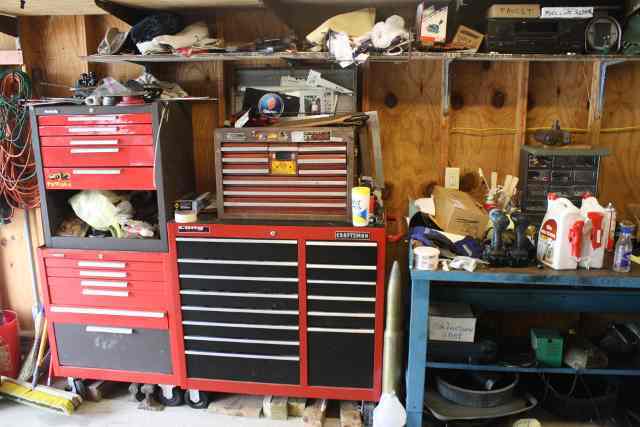 This is my fourth personal garage that I have owned, but I’ve worked in lots of others. Somehow a guy just have to have a garage.